A few years back my beloved Camry that I had for 12 years started having a few issues including burning oil. I loved not having a car payment and we kept going back and forth between getting it fixed or trading it for a newer more reliable vehicle. After getting a few estimates to get it repaired and seeing that the amount to get it fixed was almost what the car was worth we decided it was time to go car shopping. Car shopping was hard for me and a bit overwhelming, it’s such a large purchase and a long term commitment and if I don’t like the car I just can’t return it for something different. 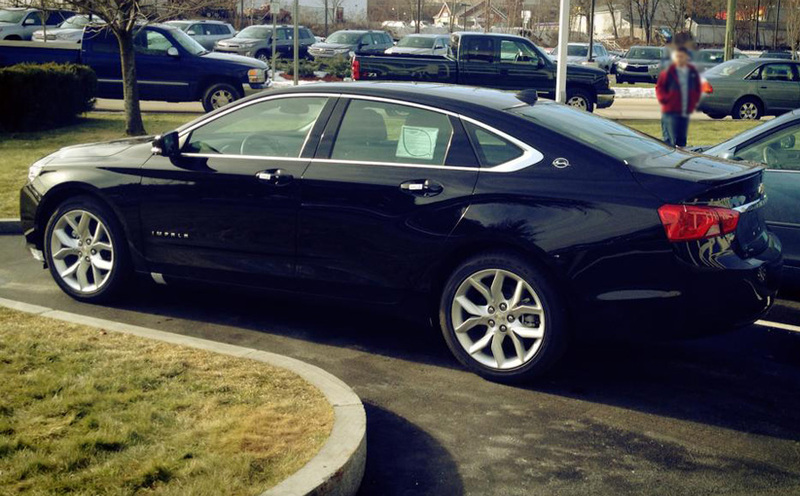 It took us two weeks of car searching and numerous test drives to settle on a Chevy Impala. Not only did I want a car that was reliable, but the features I was looking for included a back up camera, built in navigation, and one that could fit three car seats in the back comfortably as having a third child was in our future. We visited numerous dealerships and decided on Chevrolet. We were going to go with the Malibu until we took it on a test drive and saw how crammed three carseats in the back would have been, so we decided to go with a bigger car, the Chevy Impala. I took one test drive and fell in love with it. If you are car shopping, I highly recommend installing your car seats into the car that you plan to buy, it could make or break the sale. One of the first steps we are taking is setting a budget, and sticking to it although we have been pre-approved for much more. A lot of times banks will approve you for much more, set a budget and only request that amount in your pre- approval. Since we are unsure what model we want we will be taking a look at a number of SUVs, narrowing down our top choices and taking them on a test drive. Once we settle on a model we will be taking it on a test drive not just during the day, but at night as well. We also drive it on the highway to see how it accelerates and handles at a higher rate of speed. If you’re purchasing a pre-owned vehicle, it’s also a good to have a mechanic or a friend or family member that knows vehicles to take a look. We are not a family who does not trade in our vehicles every 2-3 years, we think long term. Some questions to ask yourself: Is the size of the vehicle be something you are happy with in 1-2 years? Do you plan on having children or adding to your family? Is this a good vehicle for year round and not just in the summer months? Are you in the market for a new vehicle? Visit Cars.com to easily search for new cars, used cars, and certified cars in your area. You can also find out the value of your vehicle, create a classified to sell your current vehicle, and even get an online offer from dealers.